Common Cold Overview – Dr. Natural Healing, Inc.
Sore throat, sneezing, runny nose—everyone knows the first set of these symptoms of a cold, the most common illness as currently known. Although the common cold is usually mild, with symptoms lasting 1 to 2 weeks, it is a leading cause of doctor visits and missed days from school and work in the United States. According to the National Center for Health Statistics (NCHS), 62 million cases of the common cold occur each year. In its most recent survey, NCHS reported that 20 million school days and 22 million days of work are lost annually due to the common cold. The incidence of the common cold decreases with age. Children have about two to six colds a year, while adults average about one to three colds a year. 2). Touching your eyes or nose after you touched the cold viruses contaminated area, such as office phones, doors, or other shared surface. One reason why there is no cure for the common cold is that more than 200 different viruses can cause cold symptoms. Some, such as rhinoviruses, seldom produce serious illnesses. Others, such as respiratory syncytial virus (RSV), produce mild infections in adults but can lead to severe lower respiratory tract infections in young children. Scientists think coronaviruses cause about 10 to 15 percent of all adult colds. They bring on colds primarily in the winter and early spring. Although many coronaviruses infect animals, only five infect humans, causing respiratory tract illness. How important coronaviruses are as a cause of colds is hard to assess because, unlike rhinoviruses, they are difficult to grow in a laboratory. Adult cold symptoms also are caused by viruses that are responsible for other, more severe illnesses. 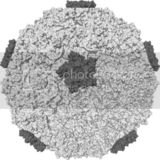 These viruses are: adenoviruses, coxsackieviruses, echoviruses, orthomyxoviruses (including influenza A and B viruses, which cause flu), paramyxoviruses (including several parainfluenza viruses), RSV, and enteroviruses. Researchers still haven’t identified the causes of 20 to 30 percent of adult colds, presumed to be viral. Because current advances in technology are leading to new tools to diagnose diseases, however, the next decade undoubtedly will bring significantly greater understanding of the causes of the common cold. In the United States, most colds occur during the fall and winter. This may relate to the opening of schools and the start of cold weather, which prompt people to spend more time indoors and increase the chances that viruses will spread from person to person. Seasonal changes in relative humidity also may affect the occurrence of colds. The most common cold-causing viruses survive better when humidity is low—the colder months of the year. Cold weather also may make the inside lining of your nose drier and more vulnerable to viral infection. Although a connection exists between the number of cases of the common cold and the fall and winter seasons, there is no experimental evidence that exposure to cold temperatures increases the chances that you will get a cold. There is also no evidence that your chances of getting a cold are related to enlarged tonsils or adenoids. On the other hand, several research studies show that people who exercise regularly have a significantly reduced number of respiratory tract infections, such as the common cold, compared with those who don’t exercise. Research also suggests that allergic diseases that affect the nose or throat and psychological stress may increase your chances of getting infected by cold viruses.